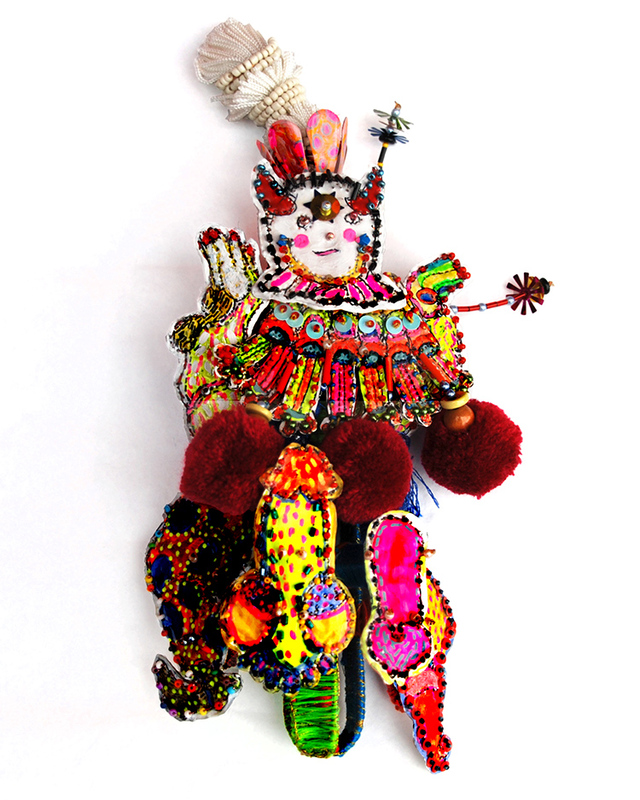 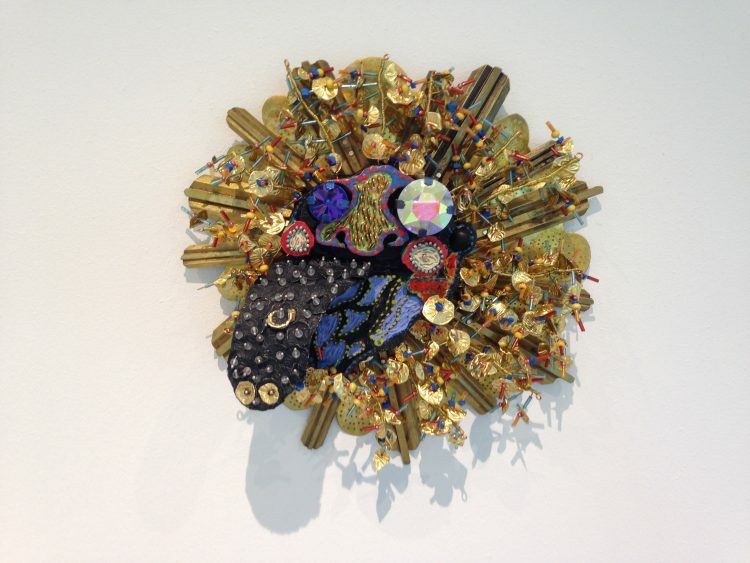 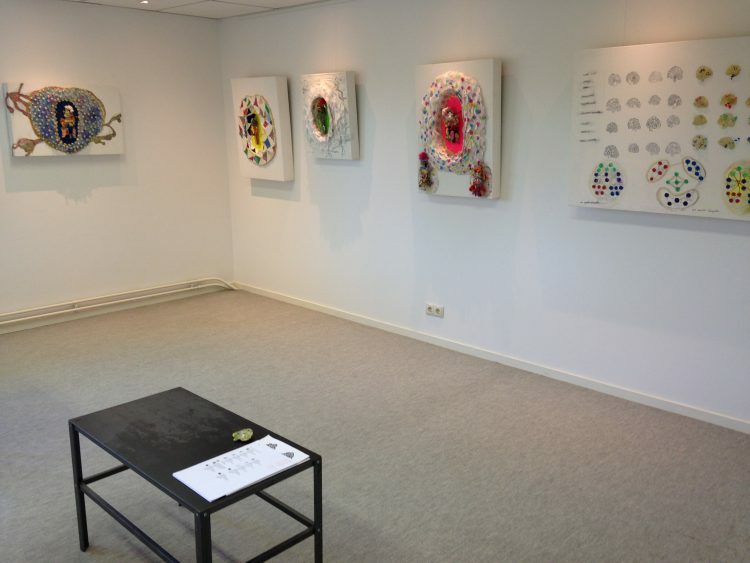 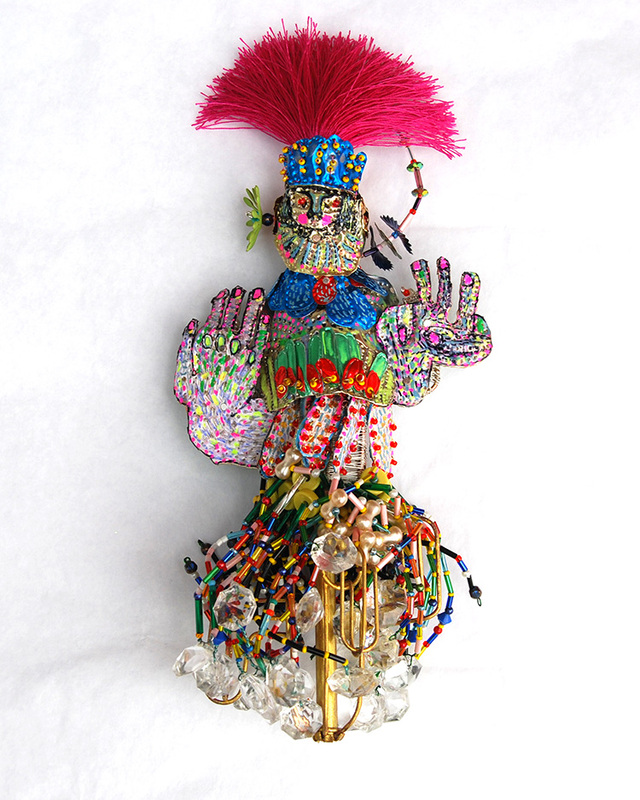 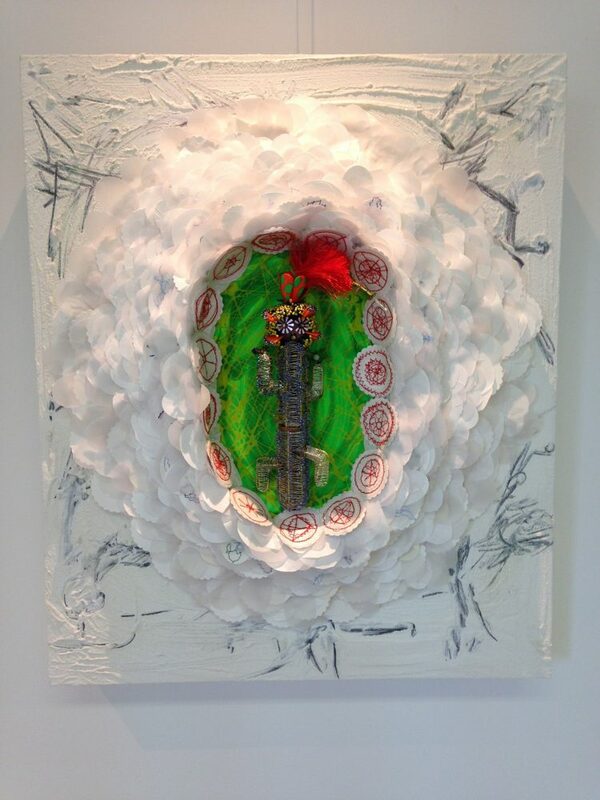 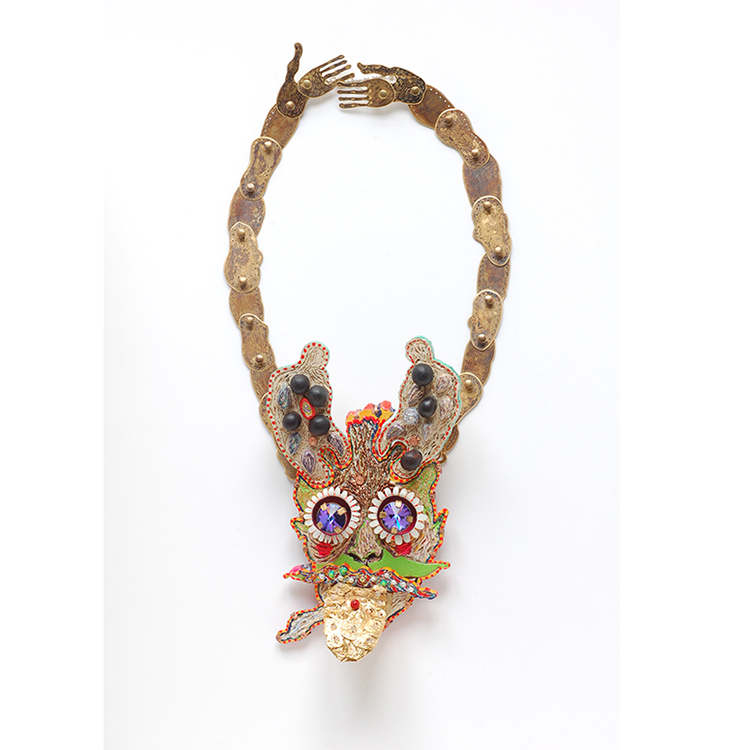 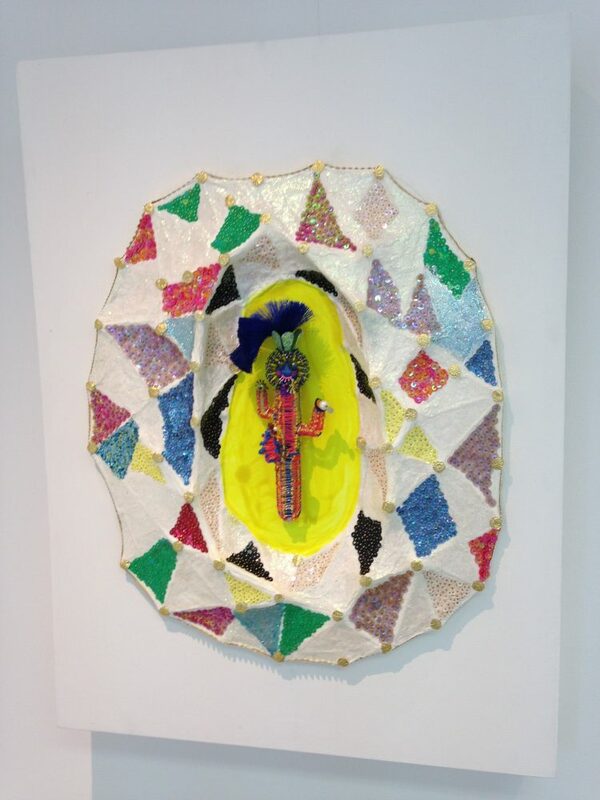 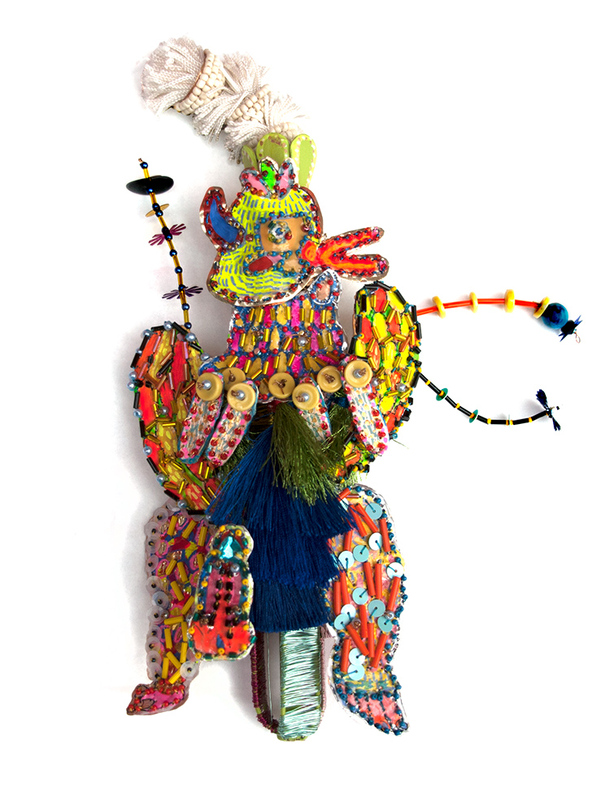 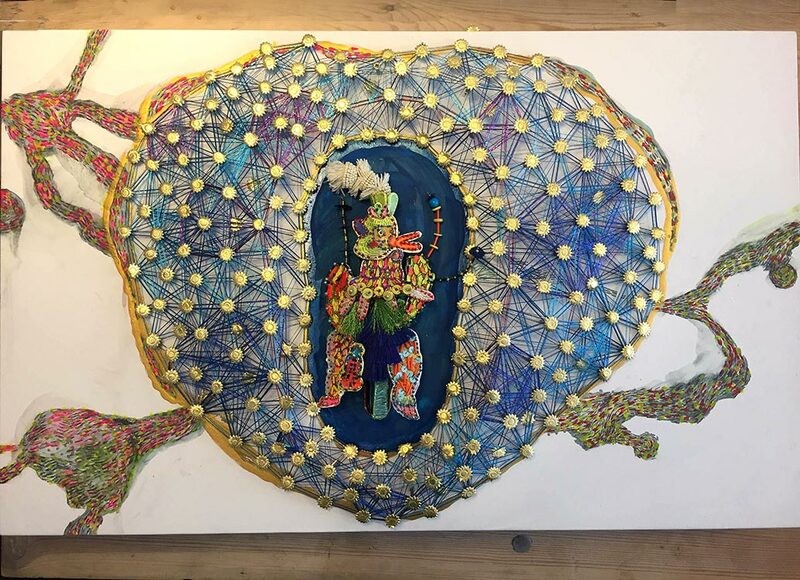 The work of Coco Sung resembles altars, images of saints and ex-votos and the brooches and necklaces can be worn as intriguing amulets or talismans. 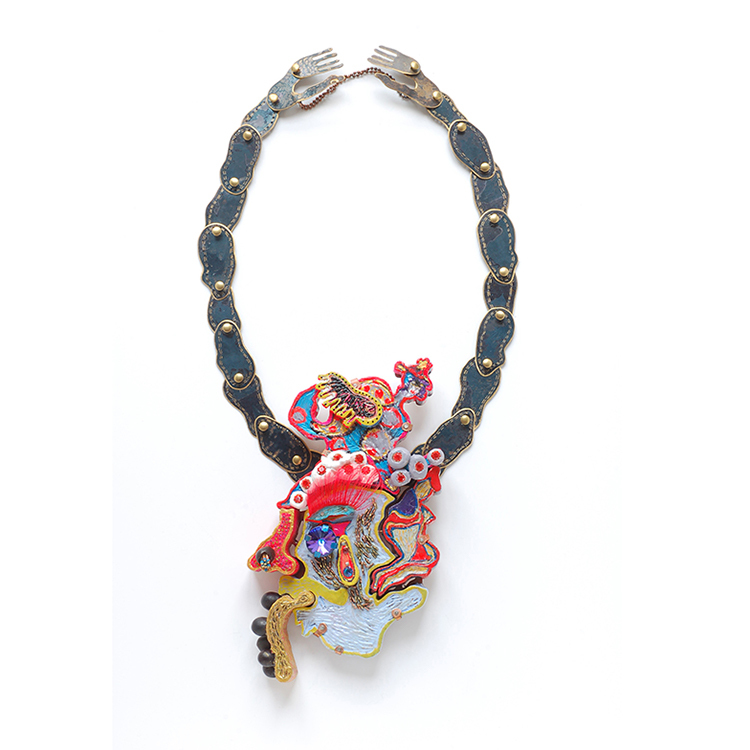 The incredibly beautiful and lavishly decorated pieces are named after hormones and monsters. 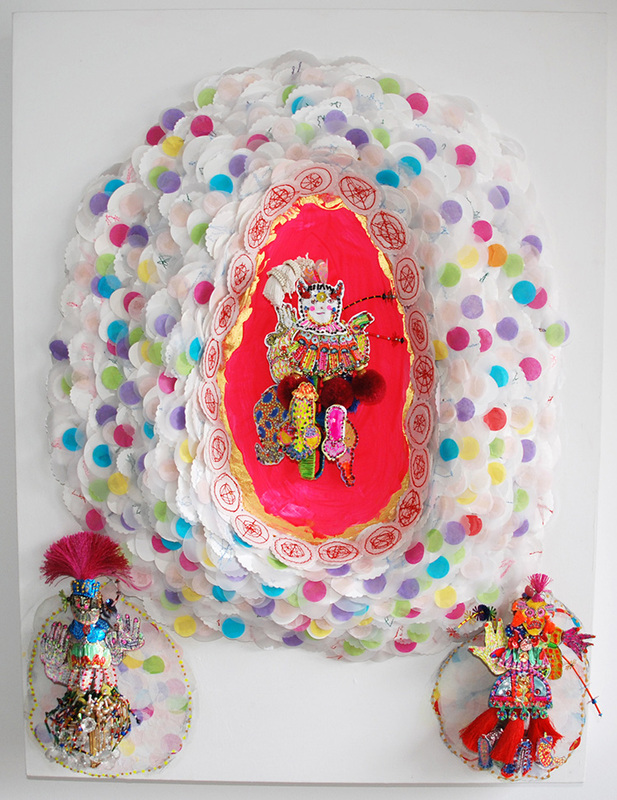 The wall objects that house the brooches are colourful shrines, reliquaries, wombs that protect from harm. 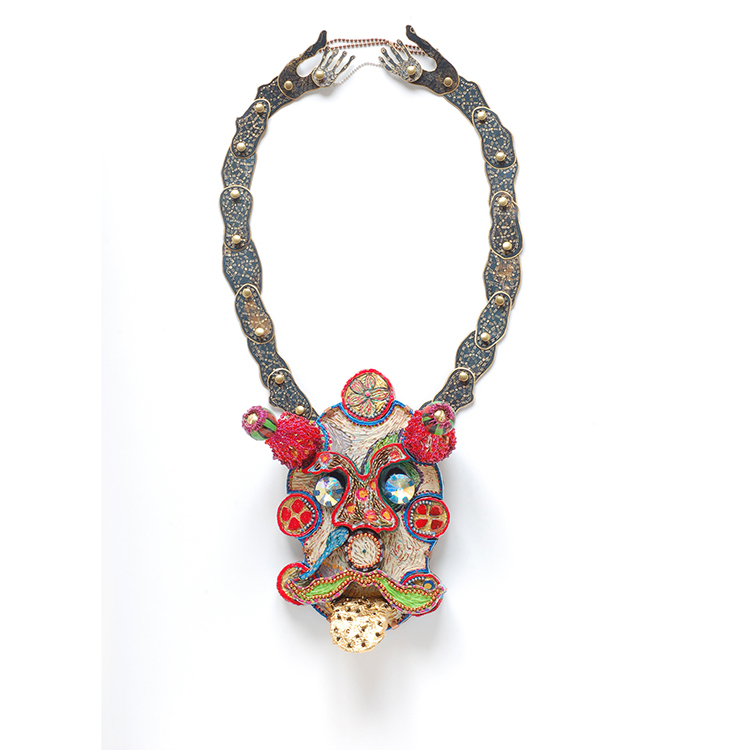 The amulet necklaces are all masks. 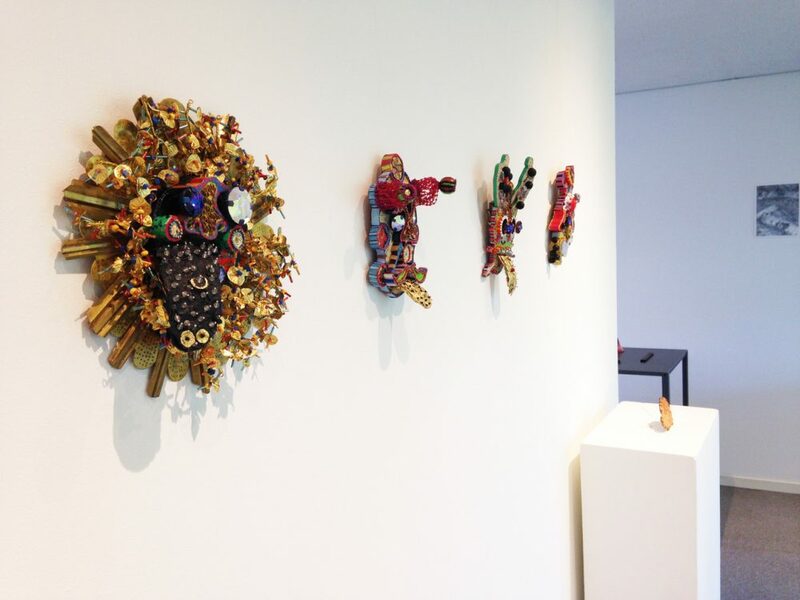 All over the world masks are used to protect, to disguise, to perform, to play. 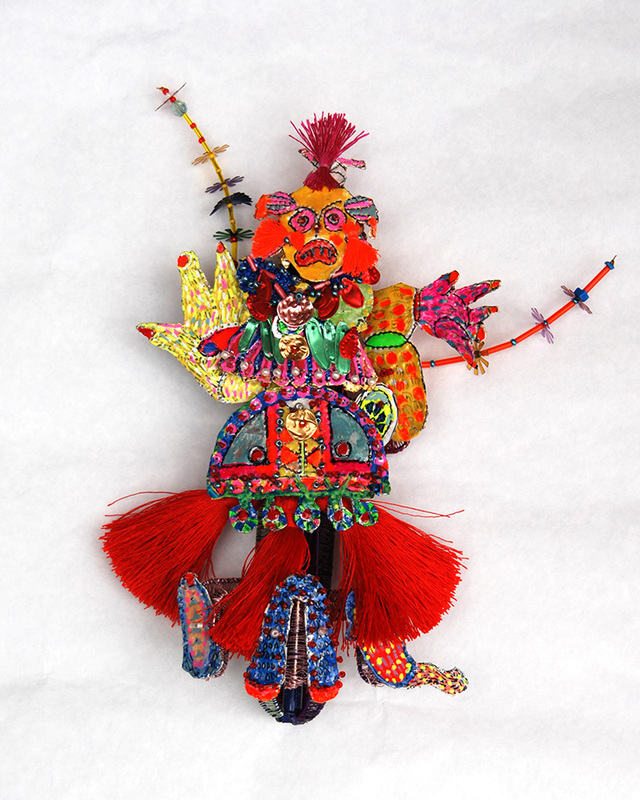 Masks refer to identity. 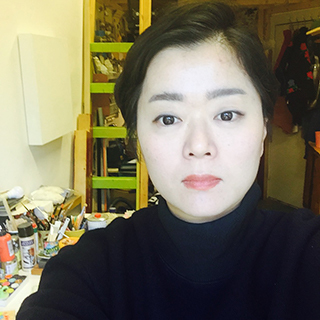 Coco Sung tempts you to reflect, enjoy and submerge you in a world of amazement and wonder.